It was in reflecting on the March 11, 2011 earthquake that devastated Japan, triggering a huge tsunami that slammed into the north eastern coast of the country, moving the coastline of this country by as much as 4 metres (13 feet) and thereby shifting the earth on its axis (perhaps by as much as 6.5 inches), that I sat down to begin this book. It is for these planetary brothers and sisters that I dedicate this tome. Highly radioactive water has been leaking directly into the sea from a damaged pit near a crippled reactor at the Fukushima Nuclear Power Station. Dr. John Price, nuclear expert and former member of the Safety Policy Unit at the UK’s National Nuclear Corporation, has warned that it could take 50 to 100 years before the nuclear fuel rods have cooled enough to be removed (meaning that radiation leaks will continue). The brave souls that have been battling the situation are expected to die from radiation sickness. It becomes even more heartbreaking when it takes a crisis of this magnitude to prompt a reassessment of nuclear power around the world. “The truth is that even in the best-case scenario, the environmental and human consequences of this disaster will be enormous. The potential impact of a worst-case scenario is beyond most people’s comprehension. To give an indication of the amount of radioactive material involved, the total capacity of the three reactors that were operating at the time of the earthquake was double that of the Chernobyl number 4 reactor that exploded 25 years ago in the Ukraine. To this, you have to add the radioactivity in the spent fuel pools of all 6 units and of the shared spent fuel pool. By comparison, the Fukushima Daiichi disaster immediately involved six reactors, with the IAEA (International Atomic Energy Agency, a UN Agency) documenting a total of “2,800 tons of highly radioactive old reactor cores”  escaping into the atmosphere. As of April 13, 2011, with the threat level having been raised from five to seven, Japan has finally admitted that Fukushima is in the same league as Chernobyl. As of April 20, 2011, new data from the Japanese National Police Agency has shown that two-thirds of the victims identified in the March 11 earthquake and tsunami were elderly, and almost all of them drowned. Adding those who are still missing, the earthquake and resulting tsunami killed an estimated 27,500 people. The police agency stated that nearly 93 percent of the victims drowned. Others perished in fires, were crushed to death or died from other causes. It is also known that radioactive exposures “are cumulative for each human, animal and plant”  which means that the mutated genetic codes shall continue to be passed onto offspring in each of these different categories, which may end up spawning “a new assortment of radiation-degraded mutants”  in both human and other life forms. Clearly, this is a situation that continues to worsen every day. David Rainoshek, M.A., has written a special report entitled We Are All Fukushima: An Integral Perspective on the Meanings and Promises of Disaster. My heart weeps for the loss of life in Japan, total numbers still unknown. In situations such as these – when Mother Nature shakes us up, courtesy of powerful earthquakes and massive tsunami’s; when there is not enough time to get to safety; when the struggle becomes more than mere survival, as is now the case – that I struggle to find the message. Mother Earth, on the other hand, has been speaking ever so loudly. Having been raped and abused for thousands of years, she, too, weeps. We have polluted the oceans and rivers (her womb) in the flushing of pharmaceuticals down the toilet; the deliberate dumping of harmful materials into her rivers, waterways and oceans; the use of chemicals and non-biodegradable detergents; oil pollution, and the discharge of untreated or under treated sewage. We have polluted the air (her breath) through the burning of fossil fuels (which create acid rain) and deforestation (which creates carbon dioxide); the continued use of aerosol sprays; the discarding of leaking refrigeration and air conditioning equipment in community landfills, and driving energy deficient vehicles. We have ravaged the earth (her body) through mining; blasting; the use of chemical fertilizers, pesticides and insecticides; the careless disposal of toxic substances (which also includes batteries), and the use of radioactive materials. Is it any wonder that we are now feeling her wrath? The time is now to change the way we think about others, and act toward others, including Mother Earth. Clearly, there is no better time to become joy, love, peace, kindness, compassion, cooperation, wisdom, harmony, empathy, goodwill and strength. 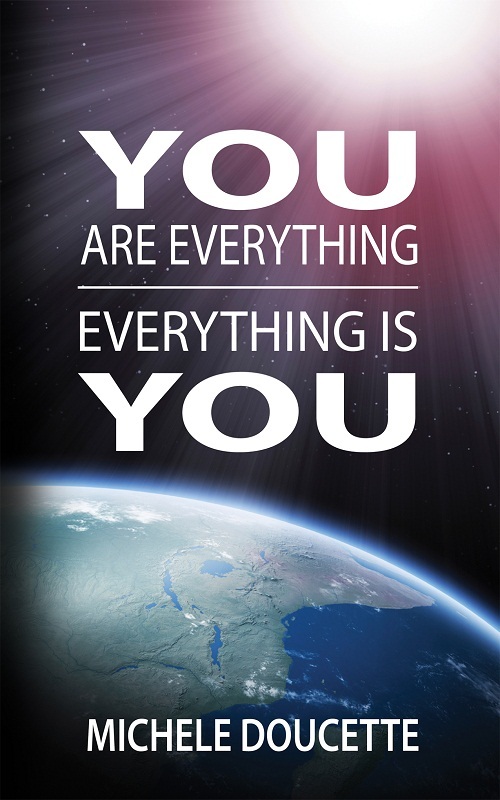 You are everything; everything is you. These words are so very powerful, and, yet, understood by so few. Given that energy cannot be destroyed, we know that energy is forever changing form. In this way, you could say that the energy of the universe is constantly being recycled. So, too, do we change form (masculine or feminine) with each new rebirth (incarnation) on this earth plane. In truth, we are also changing form during each lifetime as well, meaning that as we expand in both love and wisdom, we become more enhanced versions of our original selves. This clearly means that we, too, are also being recycled from the same stuff. Quantum physics states that substance comes into existence through actual observation, meaning that when a mind thinks something into existence, it becomes real. Thus, energy is both conscious (fully aware, deliberate and intentional) and infinite (boundless and endless). The ancients were well aware of this truth, of this premise. 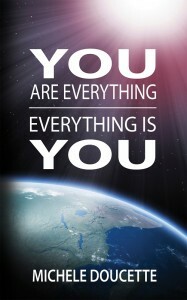 Everything you have read, thus far, has been taken directly from my book. I now wish to take the time to remind the reader about updates regarding Fukushima. This article states that Freelance journalist Jim Stone  offers compelling evidence that the official story we have all been told concerning the disaster is a phony cover-up for a concerted attack against Japan, possibly for offering to enrich uranium for Iran. The NaturalNews Network (a non-profit collection of public education websites covering topics that empower individuals to make positive changes in their health, environmental sensitivity, consumer choices and informed skepticism) for continuing to keep the reader informed. The NaturalNews Network is owned and operated by Truth Publishing International, Ltd., a Taiwan corporation. It is not recognized as a 501(c)3 non-profit in the United States, but it operates without a profit incentive, and its key writer, Mike Adams, receives absolutely no payment for his time, articles or books other than reimbursement for items purchased in order to conduct product reviews.